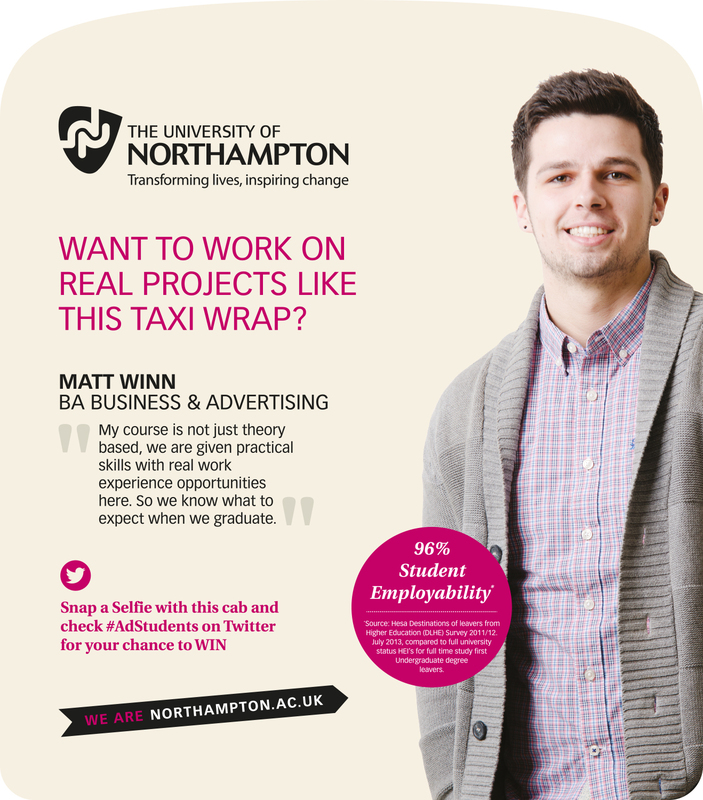 The University of Northampton has chosen Transport Media to deploy a student-designed taxi campaign across the town. Promoting the University and its courses, a year-long full livery campaign will be launched across Northampton’s taxis from March 25th accompanied by corresponding tip seats and branded taxi receipts. The designs highlight that students at the University created the campaign and encourages readers to consider the courses on offer by asking “want to work on real projects like this?” The roof of the taxi includes a message designed to talk to schoolchildren on the top deck of buses. The hashtag #AdStudents is displayed across all formats, encouraging a call to action through social media. 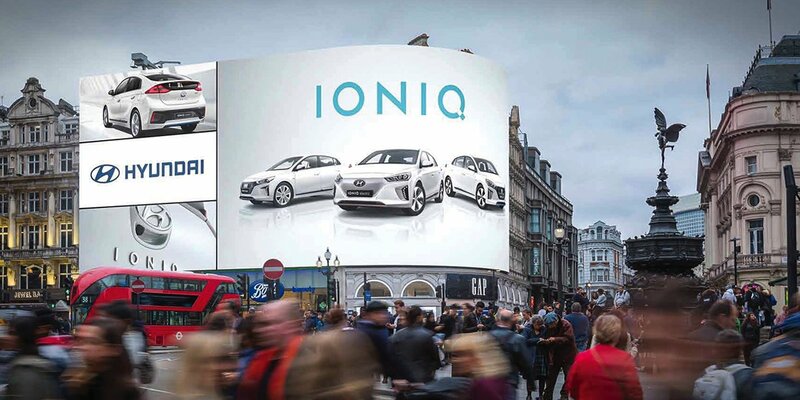 The cleverly targeted campaign also features information instructing people on how to enter a competition by taking a “Selfie with this cab” and posting it on Twitter.